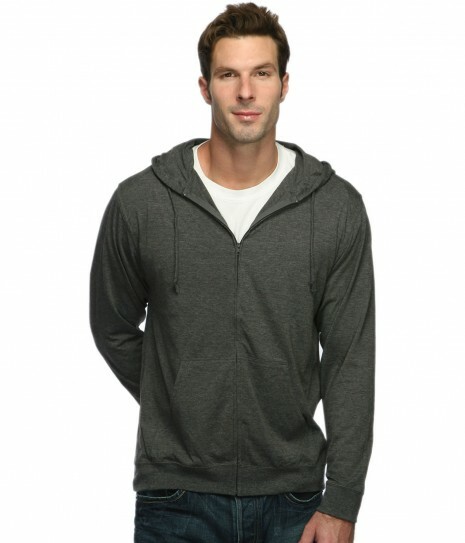 Looks like a hoodie, but feels like a tee. Knitted jersey, dropped shoulder seam, matching neck twill tape, double needle covered stitching. Pre-washed/shrunk for soft hand feel. 4.5 Jersey. 65% Cotton | 35% Polyester. 70% Cotton | 30% Polyester. 4.5 oz. jersey. Our Contrast Sleeve Tee is a must have! Made of ultra-soft ring spun cotton, 32 singles. Great for spring and summer! 7.75 oz. 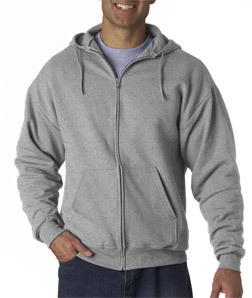 50% cotton/50% polyester pill-resistant air jet-spun yarn. Double-needle stitched pouch pockets, neck, shoulder, armhole, cuff, and waistband. Set-in sleeves. 1x1 rib with Lycra. 65% Cotton | 35% Polyester. 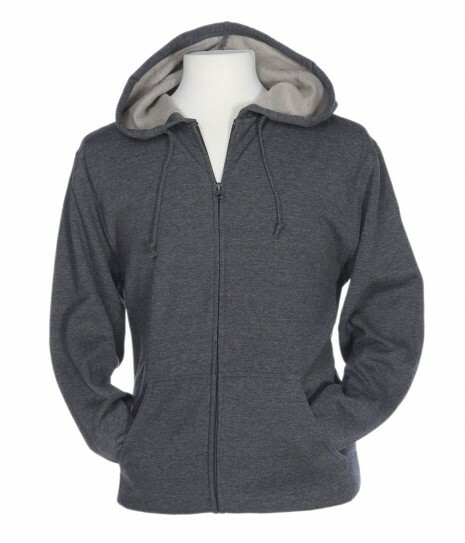 The perfect zip hoodie for the beach! Knitted jersey, dropped shoulder seam, matching neck twill tape, double needle covered stitching, coil zipper. Pre-washed/shrunk for soft hand feel. 4.5 Oz. jersey. 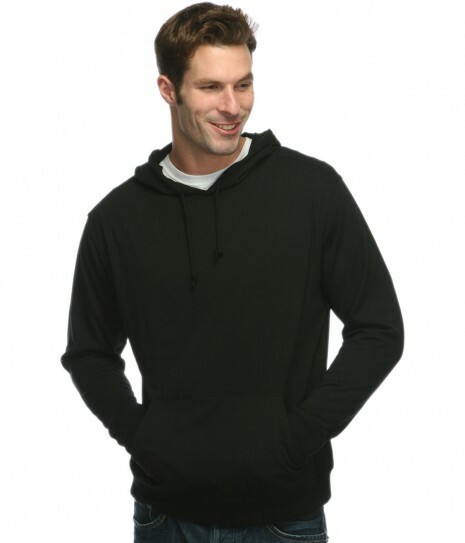 Easy moving raglan sleeves look especially good when defined by color in this 4.5 oz., 55/45 cotton/polyester with split-stitch double-needle sewing throughout, contrast sleeves, hood and flat drawcord with sewn eyelets, 1x1 rib cuffs and waistband, twill neck tape, split front pouch pocket and kissing zipper. All heathered colors. Independent Trading Co. brand. Soft and pill-free with extra room in the seat so your team can work out in extreme comfort for years. 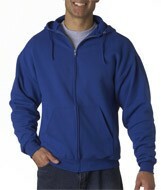 Preshrunk 50% cotton/50% polyester fleece knit. 8 Oz. Differential rise for better fit. Side-seamed. 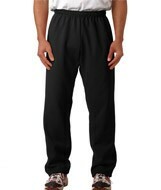 Covered elastic waistband with drawstring. Slightly tapered open-bottom leg. Double-needle bottom hems. 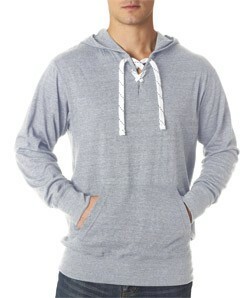 Laces are in, and the soft jersey-lined hood and ring-spun cotton feel make this hoodie a feel-good favorite too. 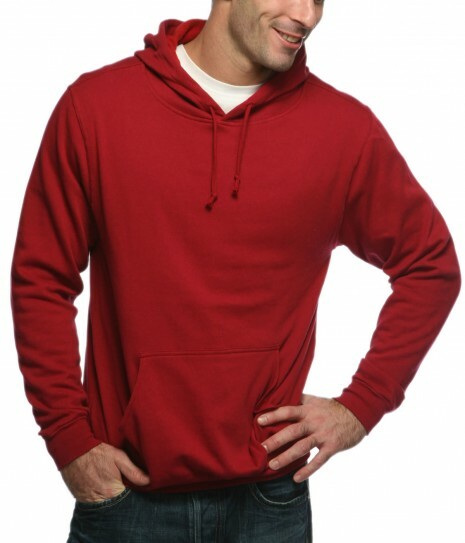 100% ring-spun cotton jersey, 6.5 oz. Split front placket with six sewn eyelets. 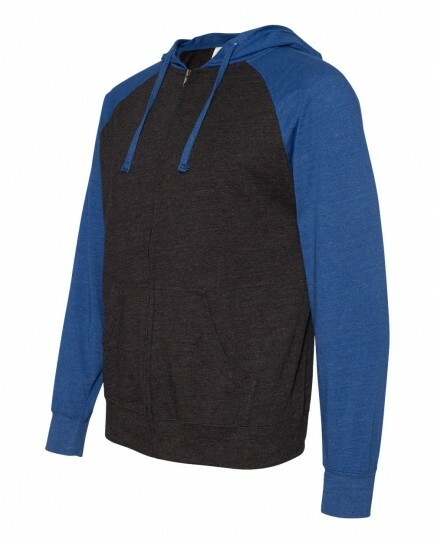 Jersey-lined hood. Thick flat white drawcord with grey ticking. Front pouch pocket. 1x1 rib-knit cuffs, waistband and side gussets. 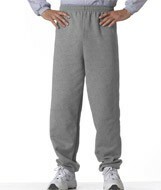 Oxford Gray is 90/10 cotton/polyester and Charcoal Gray is 60/40 cotton/polyester.